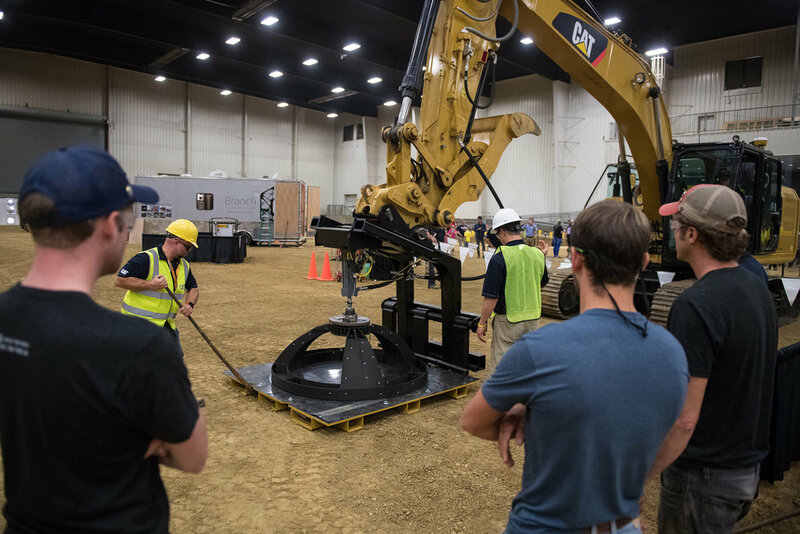 NASA’s Centennial 3D Printed Habitat Challenge is a competition to build a 3D printed habitat for deep space exploration, including the agency’s journey to Mars. The competition is a multi-phase challenge designed to advance the construction technology needed to create sustainable housing solutions for Earth and beyond. In 2015, Foster + Partners competed in Phase 1 of the Challenge, securing second-place for their proposal that used an array of semi-autonomous robots to 3D print habitats for eventual human occupation. For Phase 2, Foster + Partners and Branch Technology came together to take that concept one step closer to reality. The team developed both the robotic fabrication methods and indigenous and recycled material content required to create the structural members. This phase was broken into 3 levels that focus on constructing a column, beam and dome structure.